This is a hard post to write considering the Jezebel staff subsists on a steady diet of Haribo at all times (seriously, our office is always sufficiently stocked with the gummies) but the company is now facing allegations of using slave labor. 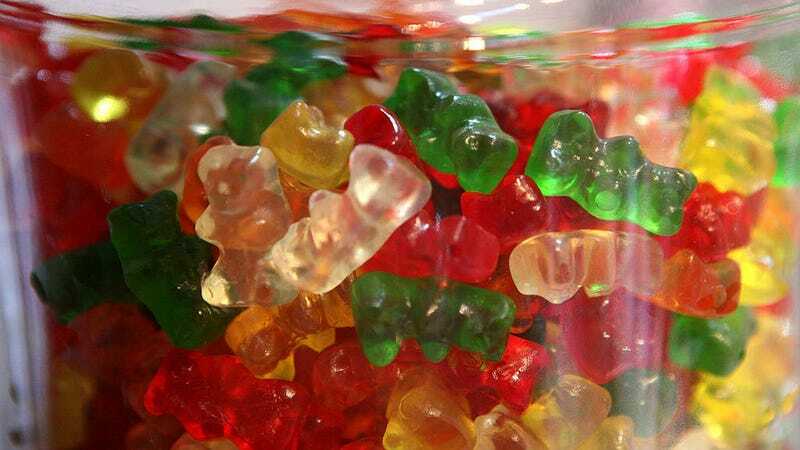 Vice’s Munchies reports on a recent German documentary from broadcaster ARD that investigated Haribo’s manufacturing conditions, which found that the company’s production of carnauba wax and animal gelatin in Brazil occurred in horrible conditions. The carnauba wax makes Haribo’s gummies glossy and is extracted from carnauba wax trees. But the filmmakers report that people who cut down these tree branches work on plantations in Brazil where they earn just $12 a day. The workers, some of whom are underage, also reportedly have little to no access to toilets, have to drink unfiltered water from nearby rivers, and sleep inside or in trucks. A Haribo spokesperson wrote Munchies: “We would like to emphasize that we are extremely concerned by some of the images shown on the consumer program broadcast on German TV channel ARD last week. The conditions on the pig farms and the Brazilian plantations shown are insupportable.” Now Haribo is working on an audit of its suppliers, going all the way down to the direct farms, and says they want to be transparent about the process. What&apos;s the Solution to the World&apos;s Sweatshop Problem?